A new direct high-speed rail service between Genoa, Milan and Venice began operating earlier today. The inaugural service left Genova Brignole station at 6.58am on March 15, arriving just over four hours later at Venezia Santa Lucia. Other stops include Brescia, Verona, Vicenza and Padua. Officials, including the presidents of the Liguria and Lombardy regions and the CEOs of Trenitalia, Orazio Iacono, and Ferrovie dello Stato Italiane Group, Renato Mazzoncini, were on board. 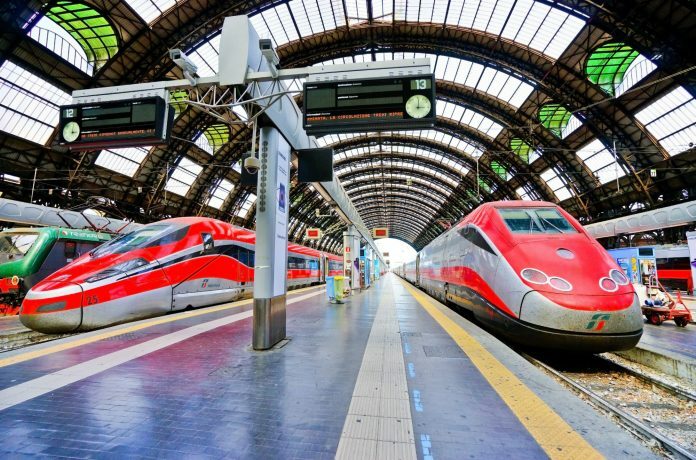 Trenitalia said nearly 2,000 tickets had been sold since March 6, with ticket prices starting from €14.90 for Genoa – Milan and €19.90 for Genoa – Venice. The service includes four class of ticket: standard, premium, business and executive.